From being a drug addict to a prisoner, Sanju movie reflects the shortcomings of Sanjay Dutt’s life. Rajkumar Hirani best known for Munna Bhai MBPS, 3 idiot and PK took a different path with Sanjay Dutt's Biopic. As Hirani and Sanjay Dutt know each other for a long time and I don't what popped up in his head to make a movie on Sanjay Dutt and that'a a hell of a decision to carry out such controversial life of Sanjay Dutt. Instead of showing intense drama, Rajkumar Hirani used his skills to deliver a comedy-drama film which he succeed to do so. Sanju is written by Rajkumar Hirani and Abhijat Joshi, both has done a great job with their writing skills and this part showed the real strength of Sanju Movie. Ranbir kapoor will never let us down with his acting skills as he is one who portrayed sanjay dutt with his spectacular performance and one of his best performance in his career. On the other hand Vicky Kaushal as Sanjay Dutt's best friend once again showed his powerful acting skills with both comic and dramatic elements. Paresh Rawal portrayed Sanju's father and no one can question the potrayal of such a supporting father. The movie lacked in the pace as Hirani unable to cover up many segments of Sanju's life and being an editor he did quite a job to cover up as much as he could. Well, that's my opinion after seeing Sanju. 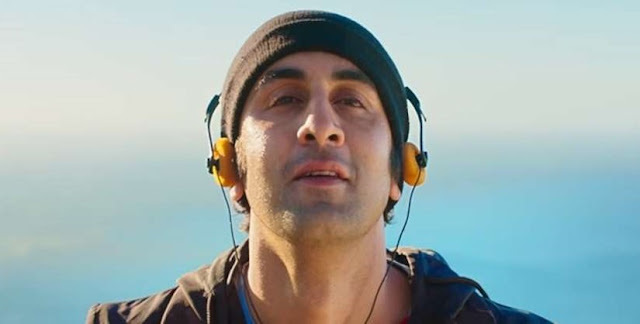 I loved the journey of Sanju's life to redeem himself and how he able to find a way out of his all misery.